The trouble with fronting a band. The Tangent | The Slow Rust Of Forgotten Machinery. 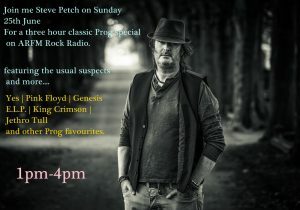 It had dawned of me off late that whilst i have been enthusiastic during my monthly shows for ARFM Rock Radio with regards to playing new releases and contemporary offerings of progressive music that i lost site of the roots and innovators of what we refer to as Prog. To this end and with the loss of so many of Prog’s legendary proprietors i decided to celebrate songs and musical pieces no matter how elongated from a bygone era that will warm the hearts of those who simply may not of played or heard them for some time. The songs and epics included represent my favourites of the time and form the tunes i have grown up loving and mean so much to me. 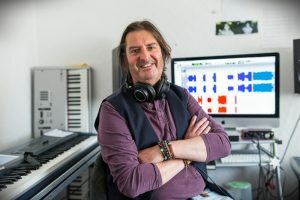 I will also be playing an excerpt from an interview with The Tangent’s Andy Tillison as well as music from other genres to mix things up a little, Of course it will be my favourite pieces by the usual suspects that with make up the classic Prog special, Yes, Jethro Tull, E.L.P. Genesis, Pink Floyd Camel and more besides. So, very much a nostalgia laden episode which i hope you will all enjoy. This month is a three hour extravaganza so crank up your laptop,tablet or moby and tune in on Sunday 25th June 2017 at 1pm till 4pm. Worry not though should you miss it as it will be available thereafter on the ARFM Mixcloud.